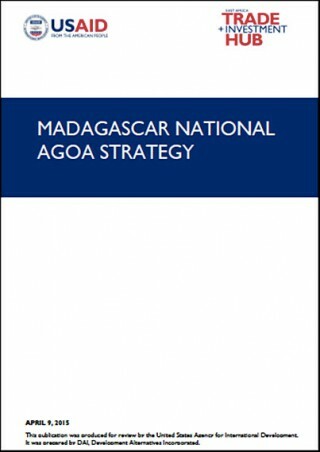 After discarding socialist economic policies in the mid-1990s, Madagascar followed a World Bank- and IMF-led policy of privatization and liberalization that has been undermined since the start of the political crisis. This strategy placed the country on a slow and steady growth path from an extremely low level. Agriculture, including fishing and forestry, is a mainstay of the economy, accounting for more than one-fourth of GDP and employing 80% of the population. 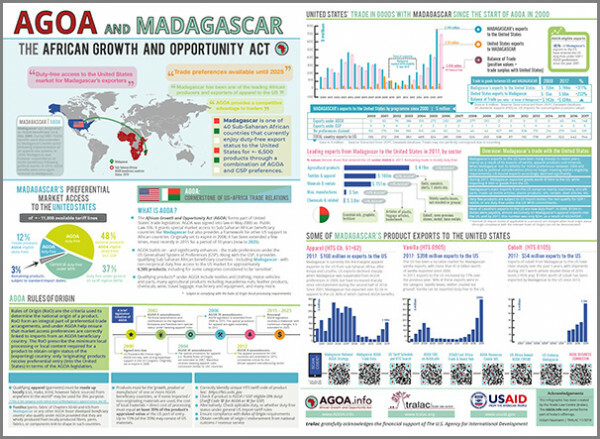 Exports of apparel boomed in recent years primarily due to duty-free access to the US, however, Madagascar's failure to comply with the requirements of the African Growth and Opportunity Act (AGOA) led to the termination of the country's duty-free access in January 2010 and a sharp fall in textile production. Deforestation and erosion, aggravated by the use of firewood as the primary source of fuel, are serious concerns. The current political crisis, which began in early 2009, has dealt additional blows to the economy. Tourism dropped more than 50% in 2009 compared with the previous year, and many investors are wary of entering the uncertain investment environment. Growth was anemic during 2010 to 2012 although expansion in mining and agricultural sectors is expected to contribute to more growth in 2013.